PETS deserve to feel comforted in playtime, loved, SOOTHED, calmed when stressed, LEFT ALONE, in mixed company- KENNELS, Pet Day Care, Rescue, GROOMING, Breeding, Vets, Pet HOTELS, or in THERAPY, Obedience TRAINING, & Mental Improvements- Positivity. Did you know that certain styles of music can really comfort your pet? Give your pet a gift of love. Classical Music for Pets™ can gently calm and relax your favorite four-legged friend. Your pet will feel happy and loved and you will feel assured of their comfort. Kennels, Rescue Homes, Training Centers, Doggy Day Care Centers, Vet's Offices, Grooming Establishments are all places where pets feel anxious. Help create a comforting environment for your pet. Pets feel anxious and stressed when left alone. Does your pet tear up your shoe when you are away? Classical Music for Pets™:"Left Home Alone" will help keep your beloved pet in a calm and peaceful mood while you are away from home. Pets become anxious in a distractive environment. Does your pet sigh often, or hide in the bathroom sometimes? Classical Music for Pets™:"Leisure Time" was created for your four-legged family member to enjoy a cozy and comfortable environment. Composers of the music in our series, Classical Music for Pets™, range from the Baroque period to the 21st Century: Rameau, Bach, Handel, Haydn, Clementi, Mozart, Beethoven, Schumann, Chopin, Glinka, Satie, and Hailstork along with many others. The texture, temperament and tempo are important to create the optimal program of music lending to the the various pet environments. "Dogs are more relaxed and well-behaved when listening to classical music, rather than pop or heavy metal, according to a new behavioral study conducted by Deborah Wells at Queen’s University in Belfast, Northern Ireland. He was practicing a classical work by Robert Schumann as his dog was sleeping near the piano. Suddenly, the he stopped playing the piano and started to sing a pop song. Unfortunately, he was known to have a rather harsh vocal quality. His dog awoke to this sudden change in sound and came over to investigate the problem by smelling his breath. As the pianist continued to sing, the dog left the room to the astonishment. The pianist decided to stop singing and started to play Schumann again and the dog unsolicited came back into the room and took his seat by the piano. Pets are extremely sensitive to music and the type of music that is provided in their environment. 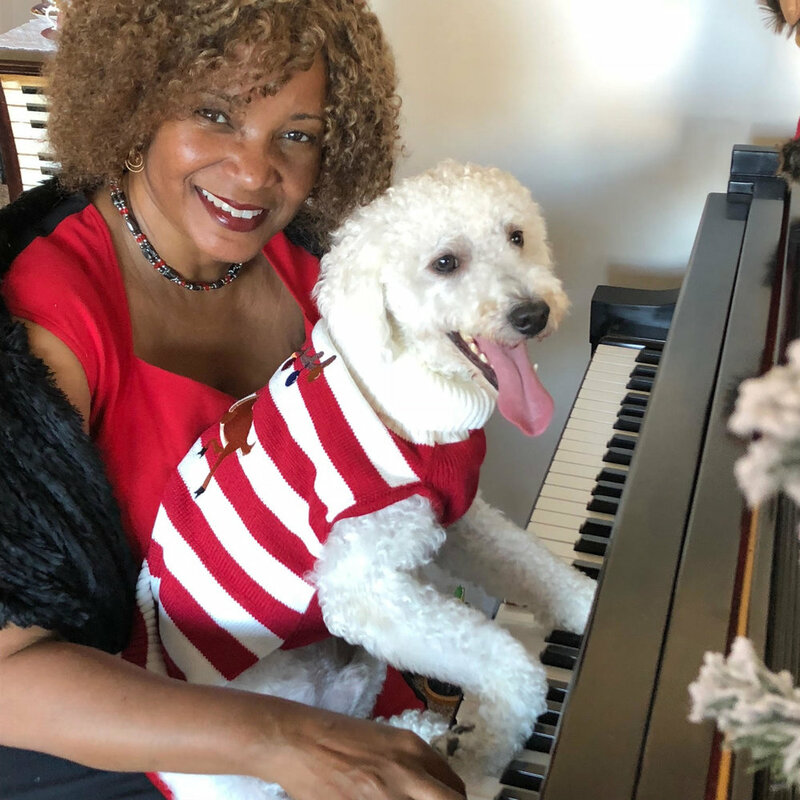 There are several sites that offer the ongoing research on how music positively helps the attitude, mood, and behavior of pets. We hope that you will give our albums a try for your beloved pet, or try a couple for your Kennel or if you are a trainer, help pets learn with less anxiety. Thanks for considering Classical Music for Pets. Roscoe helping me play Silent Night!